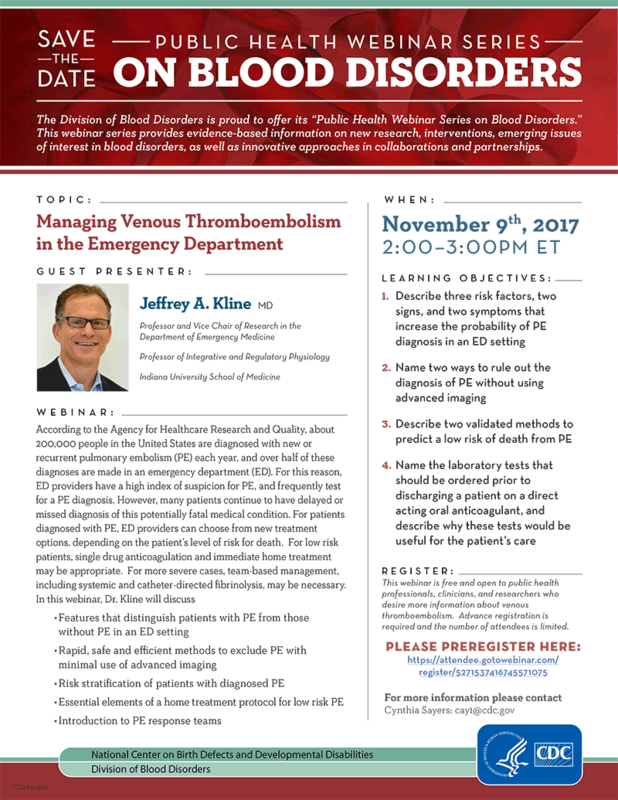 This free webinar is open to public health professionals, clinicians, and researchers who desire more information about bleeding disorders. Advance registration is required. It is made possible through The Division of Blood Disorders of the CDC.